The Denver Broncos taught us last season that defense wins championships. That being said, good quarterbacks get teams to the playoffs. The Denver Broncos taught us last season that defense wins championships. Even with Peyton Manning practically immobilized in the pocket for the duration of the playoffs, the Broncos marched to the Super Bowl and defeated MVP Cam Newton and his Carolina Panthers. That being said, good quarterbacks get teams to the playoffs. Six of the top seven NFL teams in terms of passer rating in 2015 qualified for the postseason, with the New Orleans Saints and their dreadful defense being the lone exception. With the 2016 NFL Draft in the rear-view mirror and the vast majority of free agents signed (ahem, Ryan Fitzpatrick), we have quite a bit of clarity regarding each team's quarterback situation as we draw closer to training camp. Now seems as good of a time as any to rank the projected first-stringers under center. PointAfter's power rankings of the 32 presumed starters are determined with an eye toward each guy's 2015 passer rating, but the overarching factor is job security. Which guys are entrenched as long-term starters, and which are a few bad starts away from getting the hook early on in 2016? Note: Players with "N/A" next to their 2015 passer rating did not throw at least 50 passes last season. The parenthesized passer rating rankings on each slide denote a player's standing among the 29 qualified projected starters. The Jets and Ryan Fitzpatrick are just waiting for each other to blink in contract negotiations. Even though he's unsigned, Fitzpatrick is still No. 1 on the team's official depth chart. If that doesn't happen, Smith has been tapped as the first-choice starter — but even if Fitzpatrick doesn't return to the Meadowlands, rookie Christian Hackenberg is ready to pounce whenever Smith tosses his first back-breaking interception. It wasn't looking good for Bradford after Philadelphia traded up for Carson Wentz in the NFL Draft, and the situation got even worse when Bradford initiated the pettiest "holdout" in league history. Most guys would keep their heads down and embrace the new competition — outwardly, at least. Bradford, who didn't exactly light the league on fire in 2015, threw a hissy fit before realizing it was in his best interest to shut up and collect his $18 million paycheck. The Eagles are one of the few teams who'd even give Bradford a shot at starting, anyway. Relegated to the league's saddest franchise, RGIII's star has tumbled below the horizon over the last few years. At least it seems like he'll get the first crack at starting in Cleveland, a privilege he seemed unlikely to claim while wasting away on Washington's bench last season. Gabbert performed decently enough last year to hold onto the starting job heading into 2016. But you'd better believe new 49ers head coach Chip Kelly will search for any excuse to re-insert Colin Kaepernick if Gabbert falters early on and Kaepernick exhibits his past promise and a good attitude. The stink from Gabbert's disastrous Jacksonville tenure still emanates around him, so it's hard to put too much stock into his mini-resurgence — especially since he has to learn an entirely new offense this summer. You gotta give it to Mark Sanchez. The Broncos moved up to pick QB Paxton Lynch in the first round of the draft, and he perceived it as a vote of confidence. That's the sort of sub-standard comprehension we've come to expect from "Sanchize" on the field, but it's truly impressive to see that translate to off-season transactions. Though the 29-year-old is expected to emerge from training camp as Denver's starter, he won't retain that position for long if he reverts to his turnover-prone ways. 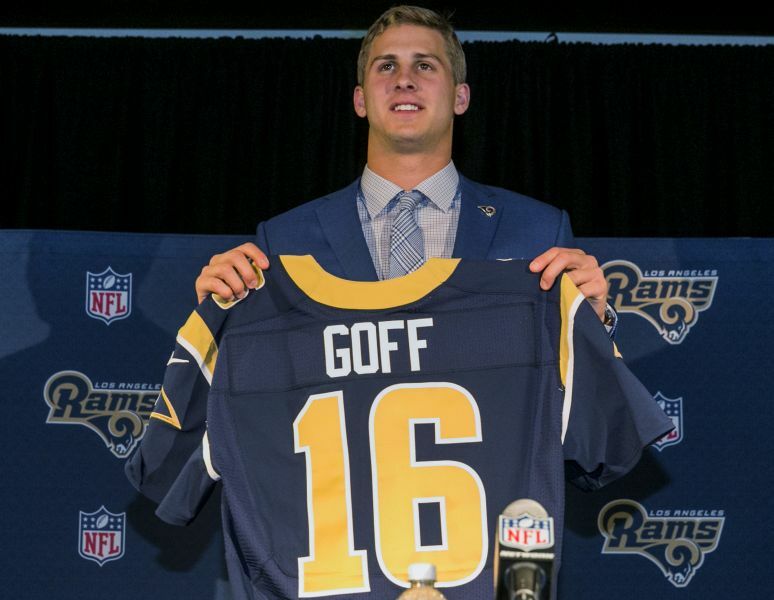 Yes, Goff is already ahead of a handful of veteran luminaries. The Rams seem content to hand the rookie the starting reins from Day 1, and it'd take a hugely disappointing debut for Los Angeles to reverse course back to Case Keenum. Perhaps no man has let the grip on his starting QB job loosen as much over the past 12 months as Tannehill. Miami went 6-10 last year, the team's worst showing with Tannehill under center. The 27-year-old will get a fresh start with head coach and offensive guru Adam Gase this fall. If he shows no significant progress during his fifth season, expect a change at the position in 2017. It's sort of surprising Cutler hasn't been run out of Chicago by now. The only thing preventing that seems to be his onerous contract. Even so, 2016 is probably the last chance for Cutler to guide the Bears to the playoffs. With a healthy pair of explosive receivers in Alshon Jeffery (who missed seven games last year) and Kevin White (who didn't play a snap after being drafted in the first round), the pressure is on Cutler to produce. After a sloppy start to his professional career, Winston got more comfortable as his debut campaign progressed. He even tied a rookie record with five touchdowns in a 45-17 romp over the Philadelphia Eagles. But let's be honest: His Pro Bowl nod as an alternate was a sham. If Winston regresses in 2016, Tampa Bay has to at least consider prepping a Plan B in case their No. 1 pick busts. Mariota had a better statistical debut season than the guy who was drafted before him, but a knee injury ended his season a couple weeks early. Tennessee drafted tackle Jack Conklin in the draft, so it's apparent the Titans' top priority is protecting their quarterback of the future. Smart move — Mariota showed in 2015 that he has the potential to star in this league, though he's still a couple years off. Bortles improved his average yard output by nearly 70 yards per game in 2015, but he could still stand to complete more than 58 percent of his passes while cutting down on his interception total (18). Bridgewater hasn't been bad by any means during his first two seasons. He even made it to the playoffs last season. But he hasn't exactly quieted the scouts who questioned his arm prior to the 2014 NFL Draft — his longest completion last year gained 52 yards. In his current form, Bridgewater is a game manager and nothing more. That's okay when you have Adrian Peterson at your disposal, but for how much longer will AP be able to shoulder the load in Minnesota's offense? Osweiler left the Broncos at the altar when he felt the Texans coveted his services more than the team that benched him for the playoffs, wresting power into his own hands. What if he's not that good, though? With DeAndre Hopkins and first-round pick Will Fuller projected to start at wideout and newly signed Lamar Miller in the backfield, Osweiler will be expected to improve upon his eight-game sample size in Denver, not just match it. If Stafford couldn't win a playoff game with Calvin Johnson at his disposal, will he ever? Though the 28-year-old's completion percentage rocketed up to a career-high 67.2 percent in 2015, Lions fans are growing increasingly restless over their postseason victory drought of 24 seasons, the longest such streak in the NFL. Though Flacco posted career highs in yards per game (279.1) and completion percentage (64.4%) in 2015, he only managed 14 touchdowns against 12 interceptions as Baltimore floundered to a 5-11 record, the worst of the Flacco era. Taylor doesn't have a proven track record on his side, but a breakout 2015 campaign led to his first Pro Bowl berth. However, it feels like the Bills squandered an opportunity to capitalize on Taylor's career year with a playoff berth. It's unclear how long of a rope Rex Ryan would give the former sixth-round pick if he struggles extensively in his second season as a starter. Carr's tangible accomplishments probably don't merit a ranking this high, but there's undeniably positive vibes surrounding the Raiders right now. That's something that hasn't been true for over a decade. The former Fresno State Bulldog made strides during his "sophomore" NFL campaign, he has the full backing of Oakland's coaching staff, and there are enough weapons around him now to expect another step forward in 2016. Romo exorcised his playoff demons in 2014 and was graded out as the league's top passer by ESPN's QBR metric, but a shaky, injury-plagued follow-up season raised questions about how much longer the 36-year-old's back can hold up. San Diego's fall from grace in 2015 was far from Rivers' fault, but time is running out for the 34-year-old to secure a lasting playoff legacy. He's reached the postseason just once in the past six seasons, and has only advanced to the AFC Championship once. Rivers and Ryan are neck-and-neck, and you could make a case for Ryan being lower since his red-zone turnovers cost Atlanta a couple games in 2015. His recent playoff success keeps him ahead by a nose, for now. Another campaign without postseason football would ramp up the speculation on Ryan's position. Though Kansas City's running backs crumbled around him, Smith guided the Chiefs to the divisional round of the playoffs following a 30-0 victory over Houston and its vaunted defense. That's no small feat. Smith deserves to shed his long-held "game manager" label after passing for a career-high 3,486 yards last season, which saw him build a solid rapport with Jeremy Maclin and Travis Kelce. You can't blame Peyton's little brother for New York's second straight 6-10 finish. Manning's connection with Odell Beckham Jr. continued to blossom, as he posted arguably the best statistical output of his career. I don't know what it's like to play through an injured shoulder if you're a quarterback in the NFL, but it must feel pretty awful. The supremely talented Luck posted the worst passer rating of any projected 2016 starter last year. Though it's probably best to throw his 2015 stats to the wayside, it's worth watching his interception total this season. He's starting to look more like the second coming of Brett Favre in that sense rather than Peyton Manning. No player improved his stock more in 2015 than Cousins. Washington's newly anointed franchise quarterback seized the opportunity of being the full-time starter from training camp onwards, racking up 4,166 yards while leading the Skins back to the playoffs for the first time since 2012. Roethlisberger has the unquestioned loyalty of Steelers fans on his side, but you might have expected better numbers from last season given the embarrassment of riches at wideout in Pittsburgh. Big Ben will be somewhat tested in 2016 by the year-long absence of Martavis Bryant due to a substance abuse suspension, but he's still got Antonio Brown to target. You have to feel for Bengals fans, who finally witnessed Dalton ascend to an elite level (yep, I said it) in 2015 before a thumb injury derailed Cincy's playoff hopes. Mohamed Sanu and Marvin Jones both bolted during free agency, so Dalton's mettle will be tested as he attempts to maintain the consistency shown last year. Brees keeps squeezing out 4,500 yards year after year (that's seven of the past eight seasons, if you're counting), but his touchdown total has shrank five years running as the rest of New Orleans' core has eroded around him. Palmer was an MVP candidate, if not the frontrunner, halfway through the season. He eventually succumbed to the runaway train that was Cam Newton, but the 36-year-old showed he still has the arm to keep Arizona in contention for at least a couple more years. Delayed Deflategate suspension aside, there's seemingly nothing stopping Brady from churning out one more Super Bowl run. New England added some useful contributors for Brady to throw to in tight end Martellus Bennett and wideouts Chris Hogan and Nate Washington. If those guys don't get you excited, you should see who was lining up for the Patriots by the end of 2015 after a severely snake-bitten run of injuries. Nevertheless, Brady reversed a four-year trend of declining yardage to log 4,770 passing yards and 36 touchdowns. Wilson and Doug Baldwin embarked on a record-breaking spree near the end of last season, signaling the arrival of both as unquestioned top-tier performers at their respective positions. That is, if you didn't already consider Wilson a top-five QB after playing in two straight Super Bowls. Though the Seahawks didn't make it back for Super Bowl 50, they have as good of a chance as any NFC contender to return next winter thanks to the maturation of Wilson and what should be an improved offensive line. Rodgers' passer rating took a dive last year, but this is the guy who pulled off not one, but two miraculous Hail Marys last season. The 2014 MVP is safely perched above just about every other signal-caller on the league-wide hierarchy. All except one, that is. The reigning MVP made major strides as a pocket passer in 2015 despite working with one of the least inspiring receiving corps in the NFL. But he made it work, transforming Ted Ginn Jr. into a legit No. 1 wideout via a steady diet of deep bombs and play action. The Panthers very nearly pulled off an undefeated regular season and came one win short of Carolina's first championship. 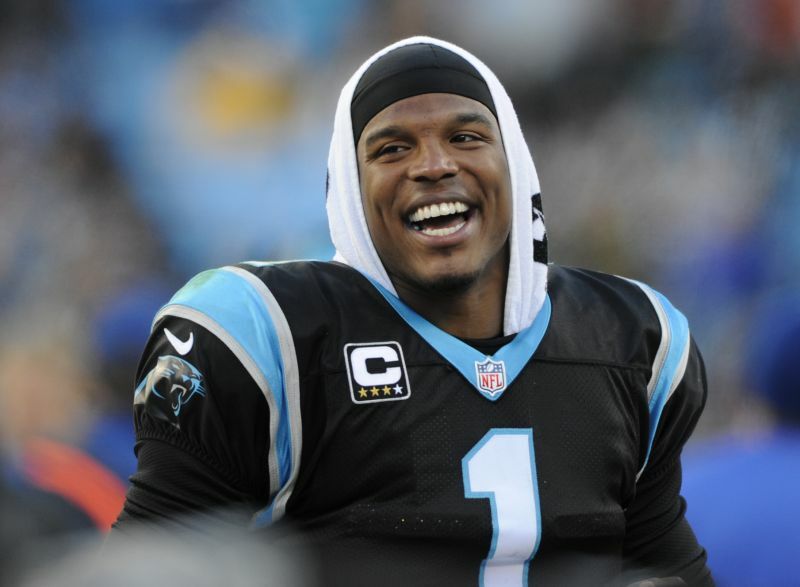 All these accomplishments have Newton atop our preseason power rankings.